Hello God from me too, and from all of us that follow your postings, and love Claire. I cannot imagine your pain, but I think I understand your feelings….. I just know because of you, Claire has the best of the best for love, and family. And the best of the best friends too! Love ya Shirley! That was beautiful. Your faith is inspiring. I know how hard it is to stay strong on a rough day. One of hardest parts of epilepsy for me is watching my son struggle from day to day, and to constantly worry about his future. God bless you. One of the hardest parts of epilepsy for me is never knowing when a seizure will strike. I will pray for your family. Thanks & blessings to you Maggie for your thoughts & prayers! I’m so sorry that you’re doing it all over again. I pray you find His strength perfect. 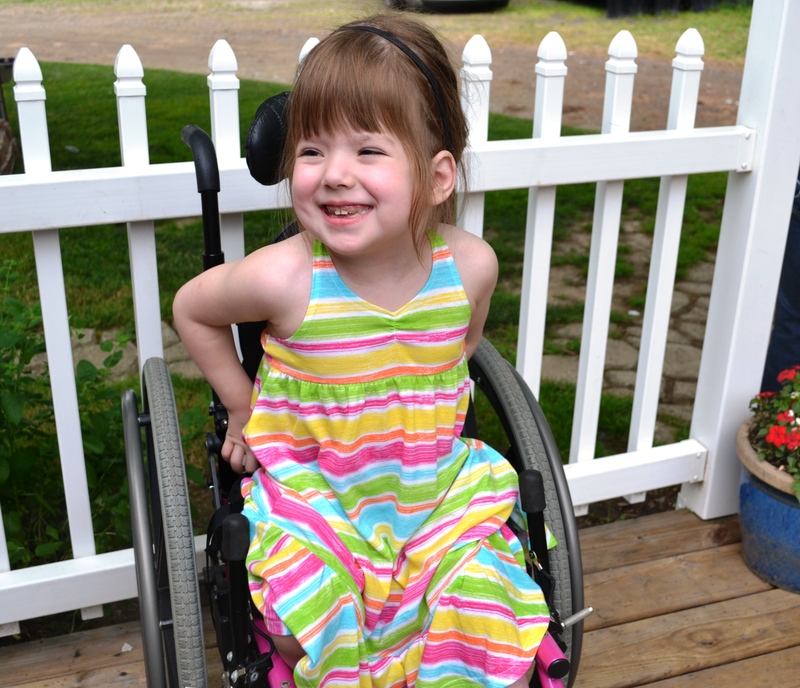 Epilepsy, or no, though…Claire is one beautiful little girl! Growing so much. Thank you Pam! Just checked in on your blog & see God continues to bless your family. God is good! She does look like a beautiful little rainbow. Sorry to hear she had another seizure but so thankful she has you as her mom that stays strong and is there to help and love her so much. Claire and you are both such an inspiration to the rest of us. Take Care and will keep your family in my prayers. Thanks & blessings Janice, I am so grateful for your thoughts & prayers! Brenda,love you too & thanks for blessing our family with your prayers & support! Mirella,Conoscere Dio è più grande di tutto questo rende il mio cuore pieno di fede! Vivere gioia oggi grazie 🙂 e benedizioni a voi per le vostre preghiere e amore! Nice Tina that you wrote in Italian! Let’s keep on having faith. Last night also Nicolò had again seizures after the first seizure-free 16 days in the last 3 years. Now we start again counting from day zero.